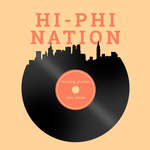 Hi-Phi Nation is the first story-driven, narrative podcast on contemporary philosophy. Every week we begin with compelling stories of ordinary and extraordinary human experiences, and transform them into an examination of philosophical ideas. We profile stories from war, crime, politics, religion, public health and policy, science, and history that raise philosophical questions, and we answer them with the help of contemporary academic philosophers. The aim of the show is to bring fans of the best narrative, story-driven podcasts like Invisibilia, Radiolab, 99% Invisible, and This American Life into philosophy. The show is completely independently produced by Barry Lam, Professor at Vassar College and Duke University.